PAUL JAY:	Welcome to The Real News Network. I’m Paul Jay, in Baltimore. President Trump spoke to Congress on Tuesday night. His fundamental message — he would put American citizens’ interests first, ahead of other countries’ citizens — and the core of his message was economic. Here’s a bit of what he had to say. DONALD TRUMP:	Tonight as I outline the next steps we must take as a country, we must honestly acknowledge the circumstances we inherited. 94 million Americans are out of the labor force. Over 43 million people are now living in poverty, and over 43 million Americans are on food stamps. More than one in five people in their prime working years are not working. We’ve lost more than 1/4th of our manufacturing jobs since NAFTA was approved. And we’ve lost 60,000 factories since China joined the World Trade Organization in 2001. Our trade deficit, in goods with the world, last year was nearly $800 billion. My economic team is developing historic tax reform that will reduce the tax rate on our companies, so they can compete and thrive anywhere, and with anyone. It will be a big, big cut. At the same time, we will provide massive tax relief for the middle class. Currently when we ship products out of America, many other countries make us pay very high tariffs and taxes. But when foreign companies ship their products into America, we charge them nothing, or almost nothing. To launch our national rebuilding, I will be asking Congress to approve legislation that produces a $1 trillion investment in infrastructure of the United States, financed both through public and private capital, creating millions of new jobs. PAUL JAY:	Well, that’s Donald Trump’s economic vision, his plan for dealing with unemployment, stagnation in the economy and such. Now joining us to talk about this is Robert Pollin. Bob is a distinguished professor of economics and Co-Director of Political Economy Research Institute at the University of Massachusetts Amherst. He’s the author of several books, including, “Greening the Global Economy.” Thanks for joining us, Bob. 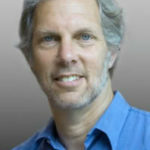 ROBERT POLLIN:	Thanks very much for having me on, Paul. PAUL JAY:	So, the problems that Trump raises are real. Unemployment is a serious issue. Low wages is a serious issue. Are his solutions real solutions? ROBERT POLLIN:	Well, first of all, the facts are that unemployment is a very serious problem. Wage stagnation is a very serious problem that’s been going on for 40 years. At the moment, the problem of unemployment, while quite serious, is not at near the crisis point it was at, for example, when President Obama took office in 2009. That doesn’t mean that we should be complacent about unemployment; it just means that we are not at the moment of crisis as Trump portrays it. And the same thing with wages; wages have been stagnant for 40 years. We have seen a bit of an upturn in average, non-supervisory wages. It doesn’t mean that your trajectory is genuinely favorable, but it just means that this image that Trump is portraying, that things are worse than they’ve ever been, and it’s all due to what’s happened in the last couple years, is just not accurate. Fundamentally though, you know it is true that there are serious problems. What are his solutions? Well, he does outline several things in terms of economic policy. The things he stresses, some of which intersect with other policies, for example, dramatic increase in military spending. That’s an economic policy and that’s a foreign policy. So, a dramatic increase in military spending, a dramatic increase in infrastructure spending — how is he going to pay for these things? The other issue that he raises, with respect to solving unemployment, and wage stagnation, is smashing illegal immigration. Somehow, he is claiming that illegal immigrants are entirely the cause of unemployment problems and stagnation. Now we know, in fact we’ve discussed this before on your show, the problem of immigration is not the cause of wage stagnation or unemployment. There is actually no evidence to support that. We can get into the details of that as you wish, but immigration basically balances out with the immigrants coming in and looking for jobs, but they’re also spending money, and therefore creating jobs for other people in the economy. What about other things? Well, he talks about… he’s going to get rid of Obamacare, and he says, well what’s so bad about Obamacare? Well, we need universal coverage. He says we need to dramatically lower drug prices and cut administrative costs. Well, if you actually took him seriously on those points, he’s sounding an awful lot like a supporter of single-payer healthcare. You know, Medicare for all, because that’s the only approach that will enable us to provide universal coverage, and lower costs. PAUL JAY:	Well, let’s start from the beginning. Dig into a bit on the issue of the immigration equation, because that’s certainly one of his most important planks that he was elected on. And certainly amongst people that voted for him, there’s a fairly popular perception that immigrants are taking jobs, even if it’s at the lower wage end of the scale. The wages wouldn’t be so low at that end of the scale, if employers had to hire people that weren’t here illegally. ROBERT POLLIN:	Well, you know, people have actually studied it. I myself studied it, and not a major study, but I’ve looked at other people’s studies pretty carefully. One of the most valuable studies was done by David Card, of University of California at Berkley, who compared the conditions for native workers, you know, U.S. based workers in cities that have a high proportion of immigrants, versus cities that have a low proportion of immigrants, and especially in the low-wage labor market. So, specifically, he looks at Miami, Los Angeles, and New York, which have very high ratios of immigrants in the low-wage labor market, something around 30-35%. And he compares conditions for the native workers in those cities, against cities where you have relatively low ratios of immigrants, specifically Philadelphia and Atlanta. And the result is, you don’t see any difference in wages, between the low-wage native workers in Atlanta and Philadelphia, versus the low-wage native workers in L.A., New York and Miami. Now why would that be? I mean, if you say you have more immigrants, it’s because the immigrants are also there creating their businesses. They’re also buying things. You know, they make money in where they live, and they support their communities like all of us. So, basically on immigration, it basically balances it out; other than the fact that the immigrants provide, you know, dynamic features to the economy. The other thing that Trump stated, which was completely false, is that he said that the immigrants are draining our public resources. In fact, the immigrants, illegal immigrants, pay taxes about — according to a recent study — somewhere in the range of 75% are paying taxes. They’re paying social security tax when they have a job, payroll tax, 65% are paying income tax, and now how many are actually drawing benefits — only about 10%. Why — because as illegal immigrants, or as undocumented people, they obviously are afraid to come and claim their benefits. So, they are actually feeding money into our public safety net. In fact, the head of the Social Security Administration, under President George W. Bush, estimated that the undocumented immigrants were contributing between $150 and $250 billion a year, on net, to social security, because they’re paying in, but not taking out. PAUL JAY:	Hmm. I’m sure we’ll explore this more again in detail, but let’s move on to one of the other issues. He talked a lot about the trade deficit, the fact that American products, when going to certain countries — I assume he means China — are being charged high tariffs. One of the quotes was about Harley Davidson motorcycles are being charged 100% tariff in a certain country. He didn’t name it, but I’m guessing he meant China. I mean, is there not a serious issue, in terms of the trade imbalance, and do not American workers have a just cause, whether he’s addressing it or not, in the off-shoring of jobs? ROBERT POLLIN:	Yeah. Well, I do… I depart, and have for a long time somewhat, from a lot of what people on the left, who have identified the issue of the trade deficit as being a fundamental cause of say, wage inequality and unemployment. I think it’s maybe a minor factor. It is a factor. The key is the loss of good jobs, the manufacturing jobs. Since 2000, we’ve lost about five million good manufacturing jobs in this country. So, actually when Trump, at the beginning of his speech, when he starts reciting all the companies that he’s convinced to stay in the United States. And he says, and that means tens of thousands of jobs for U.S. workers. Well, we’ve actually lost five million manufacturing jobs. And the reason we lost five million, is because unlike other countries, including China, and including Germany, we don’t have an industrial policy to support the development, and to sustain manufacturing jobs in this country. And so, what we really need, is to advance manufacturing policies to promote the development of these in the U.S. economy. Now, I also want to say something about China and other developing countries that are trading with the United States. I mean, I think it’s important for progressive people to recognize that people in China, there are working class people in China. There are working class people in the Dominican Republic. And while the jobs that they’re getting to make things for the U.S. market may not be the best jobs — and sometimes they’re sweatshop jobs — it has succeeded in lifting people out of destitution in China — the trade surpluses that they’re running. And the U.S. is rich enough, that we can afford to run relatively modest trade deficits, and still achieve a full employment economy. What we really need is the commitment to directly, in the United States, full employment policies and decent wages and support for workers from Unions. We need a high minimum wage, a living wage standard. We need unionization, and we need a commitment to full employment. If you have those things, the problem of the trade deficit is a relatively minor problem. PAUL JAY:	Well, Trump answers, the reason companies aren’t investing more in the economy, and aren’t growing and hiring more people, was because the corporate tax is too high. ROBERT POLLIN:	Well, look you know, Trump is saying that he’s going to build up infrastructure, and his example, he says the last time we had a major infrastructure program, it was under President Dwight Eisenhower. And that was the interstate highway system. Now, what he neglected to mention, under Eisenhower the highest marginal tax rate in this country was 91% – 91%. Rich people paid 91% on their highest income. PAUL JAY:	I think the estate tax was something near that number as well. ROBERT POLLIN:	That’s right. And now the highest marginal rate is a little less than 40%. So, Trump is saying that our tax, and there are all kinds of opportunities to avoid taxation, which by the way, corporations do all the time. So, even if we have an effective, on the books tax rate, that looks relatively high, say compared to other countries, effectively it’s equal or lower, because there’s so many opportunities for tax avoidance. Now, so what Trump is ignoring, is that if you’re going to have an infrastructure program, or any other kind of ambitious –- including, by the way, building our wall with Mexico, program — somehow you have to pay for it. And Eisenhower paid for it by taxing rich people. Trump wants to lower taxes on rich people. You know, there’s no evidence that lowering taxes on rich people is going to accomplish anything. I mean, even past Eisenhower through up until Reagan, the highest marginal tax rate was 70%. The growth rate of the economy was much higher than it has been subsequent to Reagan, on through to today. PAUL JAY:	Well, as one possible way for him to finance all this, is a massive privatization of the building of roads and bridges. In other words, people pay tolls every time they use any of these new roads and bridges, and it becomes a profit center for various companies. ROBERT POLLIN:	Well, I mean, if that’s the way we want to go, we want to make roads privatized; we want to make bridges privatized, then we no longer have the public sector doing the things that the public is supposed to do. And then we no longer have public planning, as to where we can best use the roads, or where we build public transportation systems. We can’t finance those anymore. So, everything becomes a source of private profitability that will degenerate the infrastructure system far more than anything else. PAUL JAY:	And instead of the wealthy paying more tax, ordinary people pay a lot of fees. ROBERT POLLIN:	Ordinary people will pay for that through fees, while the rich people get tax cuts. That’s the way he’s going to do it. Now, the other solution is, you know, having the deficit blow up. You know, that’s what happened under Ronald Reagan and we did get growth. Deficit spending does generate growth. Ronald Reagan raised increased spending on the military massively, and he cut taxes on the rich, and we had a huge deficit. You know it blew up to 6% of GDP, right before the 1984 election, but it did stimulate economic growth. 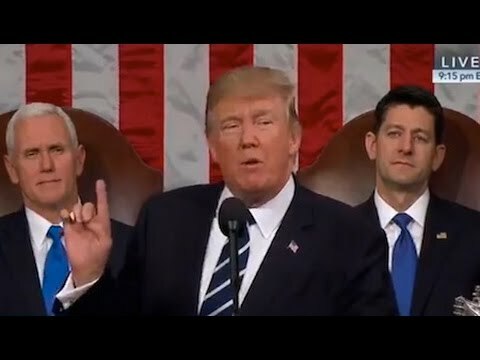 PAUL JAY:	Well, if you take that $54 billion he wants to give to the military, and compare to that $54 billion going into these various regulatory agencies, and social safety net, purely on the job level, what creates more jobs? ROBERT POLLIN:	Yeah, so if you give money to the military, and just worry about the job impacts, the job impacts are dramatically lower than various alternatives, including domestic infrastructure spending. So, the military will generate about 10 jobs per $1 million of its spending. Infrastructure will be at about 14. If you do a green investment program, it’ll be at about 17 jobs. So, you know, every time we spend $1 million on the military versus a green agenda, we’re sacrificing seven jobs. And then if you spend on something like education, you’re going to get about 24 jobs per $1 million of spending. So, putting the money into the military versus education, you sacrifice about 12 jobs; you sacrifice about half the job benefits you would get through supporting education. PAUL JAY:	Uh huh. All right, well, we’re going to dig into a lot more of this in future interviews. Thanks very much for joining us, Bob.